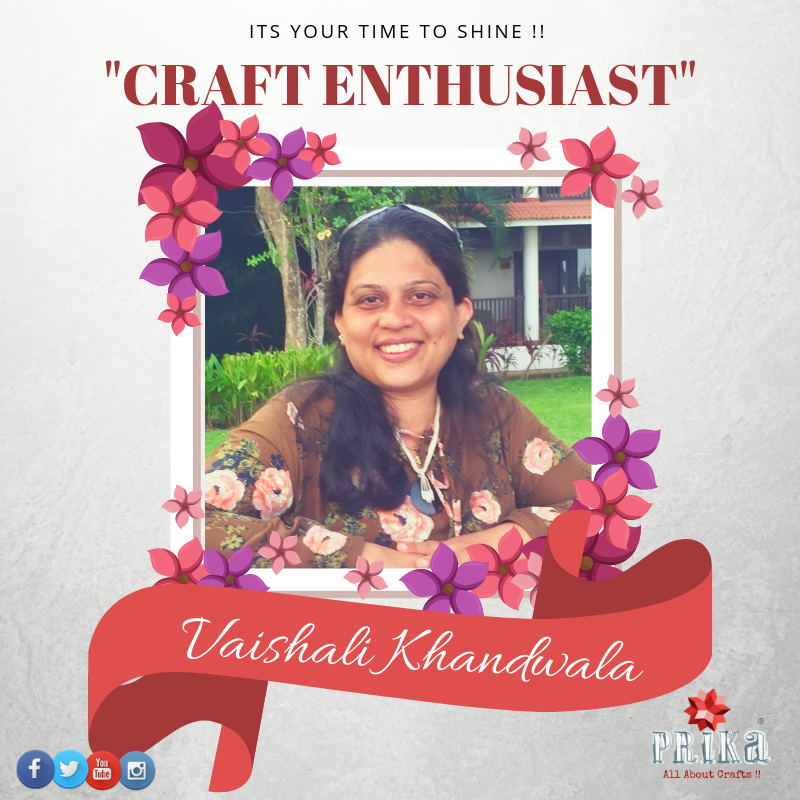 Prika: Craft Enthusiast: "Vaishali Khandwala"
This is what Vaishali speaks about her journey as a crafter and her story of being a craftpreneur…. 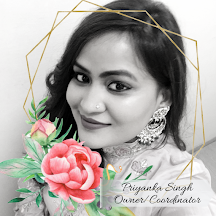 Hello friends, I am Vaishali Khandwala from Mumbai and it’s a pleasure connecting with everyone through the amazing platform- Prika. Thanks a lot Priyanka for the feature. I am an architect by qualification and a freelance interior designer. 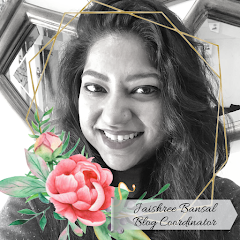 Along with designing homes, I have a strong passion for creating home décor products, teaching craft and blogging about craft techniques. My professional background contributes to having good aesthetic sense and analytical skills. I see possibility of alteration in almost every object around me. Composing forms and elements together comes naturally to me and I love working in three dimension, with various materials, objects and techniques. Since 2011, I am enjoying putting all this together through crafting. 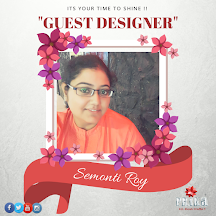 The changing course of life paused my interior work, however was keen to be creatively occupied and that inclination opened the doors of crafting world for me. Post marriage we moved places and each place had something new and interesting to offer. I was in Singapore then and decided to teach craft to children. It was fulfilling to see my daughter and other children enjoy the craft time and come up with innovative creations. 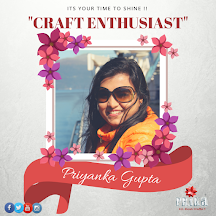 Crafting in a different country was a great experience, which I shall cherish forever…. 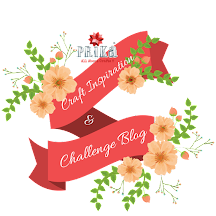 different thoughts, set ups, and amazing craft supplies. It all added to my knowledge and ideas. Soon we moved to Bangalore, and it was here that I got introduced to the crafting fraternity in India. A creative world, much, much bigger than I thought to be. 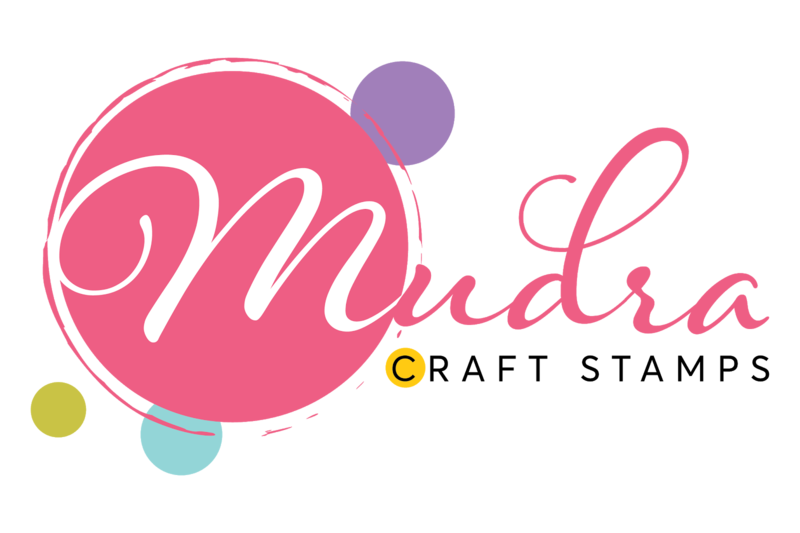 This time, I moved a step ahead, from crafting for and with children to making hand crafted products. 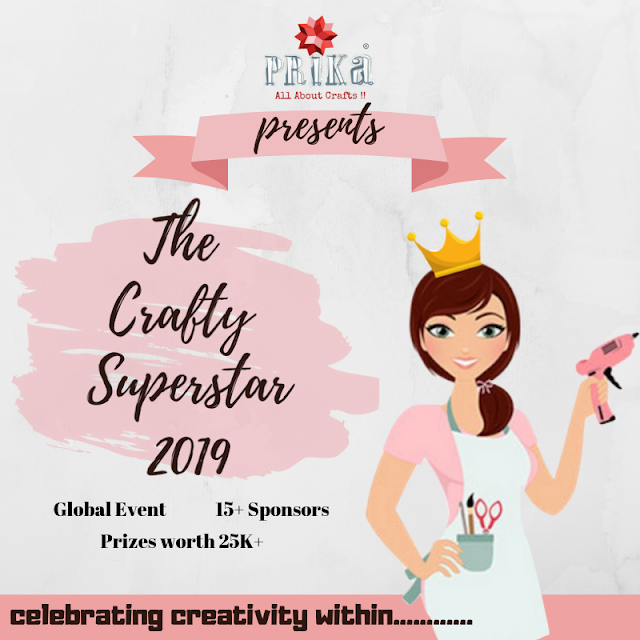 Gradually, I got to know about supplies, I had not heard of before….new techniques, new mediums and so much to explore, experiment and craft. 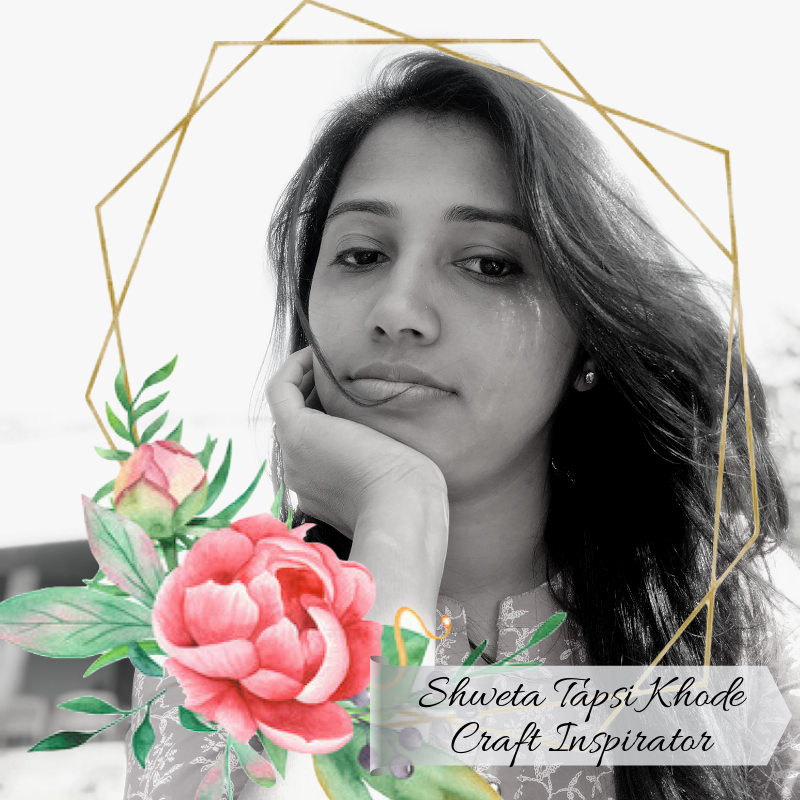 My love for crafting got a new direction and the journey continues….which I named Craft Express- where I express myself through craft and my creative growth happens every single day. 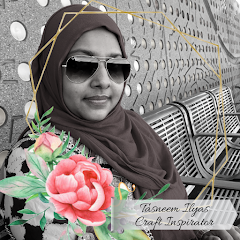 Currently, I take lectures at Interior college, conduct craft workshops and am a design team member at Itsy Bitsy. My craft work has been featured in Bangalore’s Deccan Herald newspaper. Design Inspiration comes from everywhere, it’s all about being present to observing details and uniqueness in everything around. Working on a project with supplies and techniques, that I have not worked with before, make me jump with joy. I enjoy all forms of crafting, however Decoupage is my core strength and I use this favorite craft form to customize utility products. I truly enjoy adding dimension and depth to decoupage with mix media techniques and mediums. Doing so makes me feel like working on an interior project, where many materials are involved. Additionally, I enjoy up-cycling treasured objects and ordinary furniture to statement pieces. I have got opportunities to work on some scrapbooks and have had happy experiences. My crafting journey started with children. Crafting for their needs and teaching craft to them are the most fulfilling moments for me. It’s like connecting with the child in you…working with basic yet interesting craft supplies. Craft table full of colourful, cheerful stuff !!!! I cannot say that I have one style of crafting. Crafting is journey. Every time, it’s working with different set of base products and supplies, attempting to make something different and better each time. Incorporating new techniques and ideas is the key. A common factor is the style with which I bind forms and elements together. My creations are well balanced with colours, form and textures. And of course love adding details with embellishments !!! I have received true appreciation for my craft workshops and am happy to share my craft knowledge. 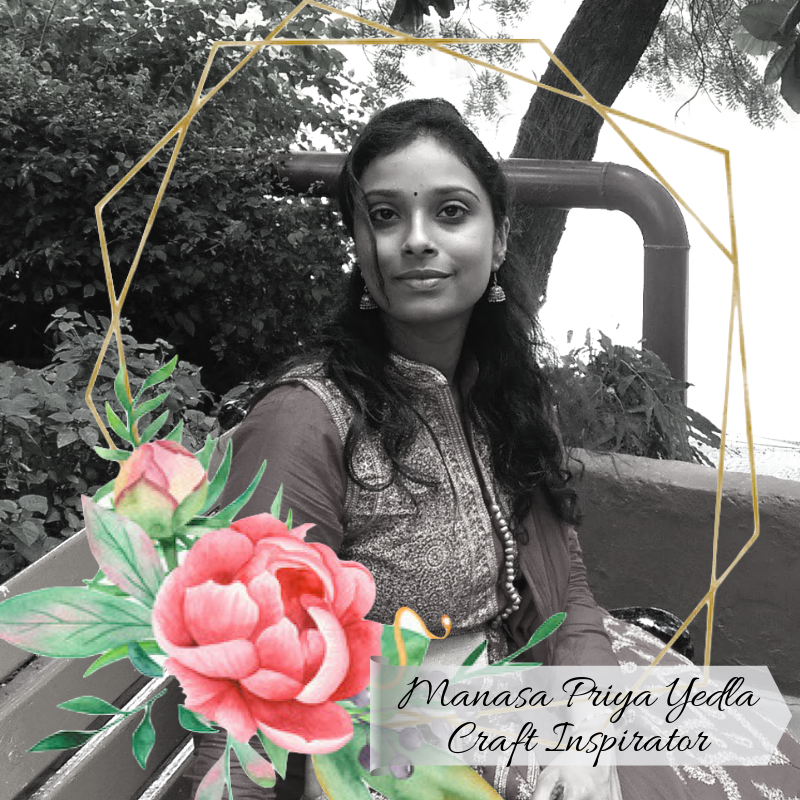 Workshops help me contribute in my own unique way to the journey of fellow crafters and are a growing experience for me as well. 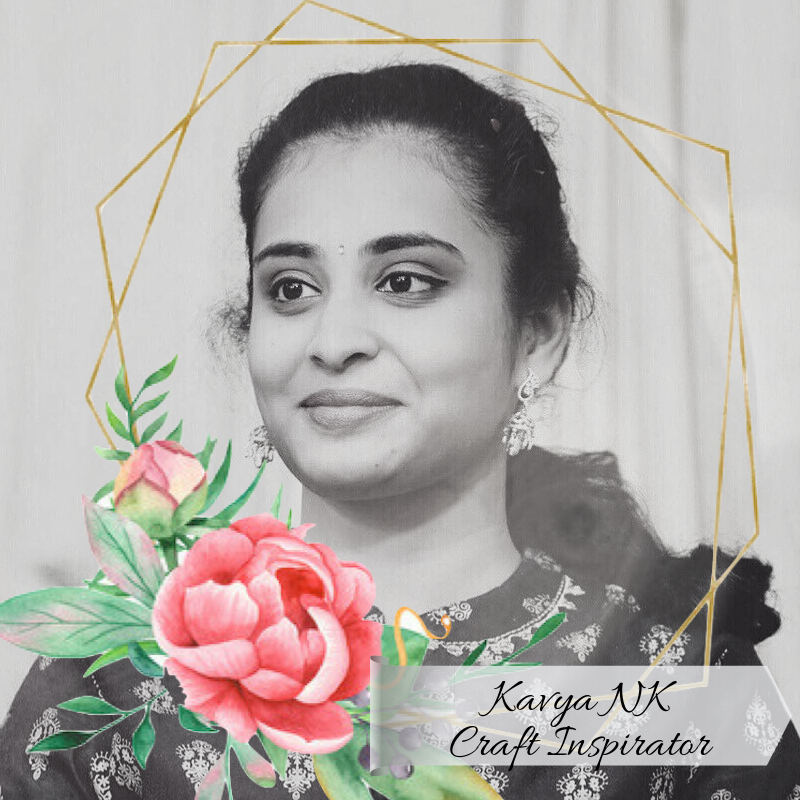 So would like to take Craft Express across India and conduct more workshops at different levels for people of all ages and backgrounds. Also I have observed that, it’s not easy to find customized, co-ordinated home accessories. With my background in interior designing and knowledge in crafting, I intend to cater to this niche area, in a big way. With the above vision, I believe in taking one step at a time and walk on every positive path that comes my way. Let your passion and love for crafting, create something new. It is satisfying and will take you long. The resources and supplies available today are overwhelming. Go step wise, figure out what you like, invest wisely and make the most of your talent. Believe in yourself and your work, each one of us can contribute in a special way. So enjoy the journey. Create, Express, Enjoy !!! !